What’s an easy bouquet to arrange right out of the box? 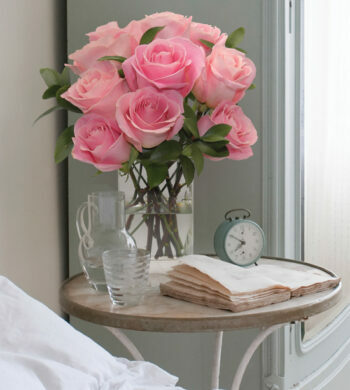 It’s a question we’re asked sometimes when a sender feels flowers are the perfect gift yet they do suspect the floral recipient might be a tad bit, how can we say this delicately, “design challenged”. First, know there are plenty of options for those flower lovers that feel they’re not up to the task of arranging flowers themselves. 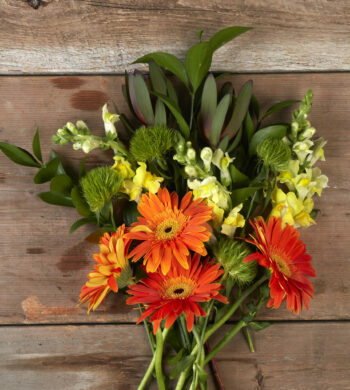 We’ve created an easy-to-arrange-collection of bouquets that take only a little effort next to filling your vase with water and adding the flower food. 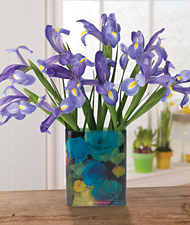 One of our most recent creations is the bouquet, Watercolor Iris. 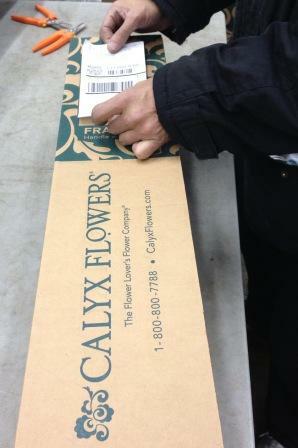 Ten stems of these exotic flowers arrive boxed and ready to bloom. We’ve paired the iris stems with a unique pocket vase. The vase is a work of art by Fringe Studios, its round rectangular shape tall and thin which supports the flowers perfectly. 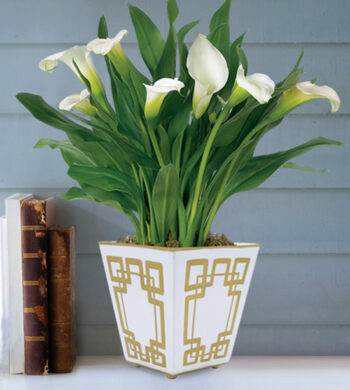 The vase makes its presence known with its sleek sides beautified by a transferware floral print. Iris have a very special bloom shape and size. They make arranging a snap since the stems can be spaced in a free-form manner. As they open the spaces are filled with brilliant, intensely colored blossoms. To view the Watercolor Iris, click here. 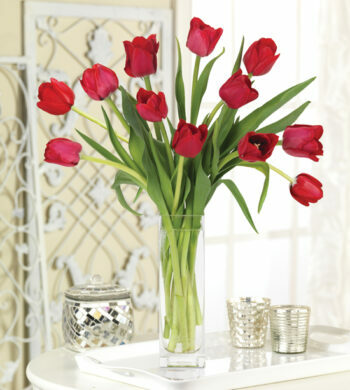 We also invite you to check out our Orchid gallery which we categorize as another easy-to-arrange flower type.